Company registration plays an important role in the development of a business. In this post, you will get to know the different type of firm registration services with a bonus Case Study from the Ministry of Corporate Affairs. You’d probably be pumped to read about them as a right firm will definitely boost your business. Company Registration is a process of constituting a company as a legal corporation. In India, firms are registered as per the Companies Act which is laid down by the Ministry of Corporate Affairs. Company registration legalizes and gives your business a corporate identity and approval from the Government authorities. The Companies Act, 2013 regulates the incorporation of a company, responsibilities of its directors and also the dissolution of a company. 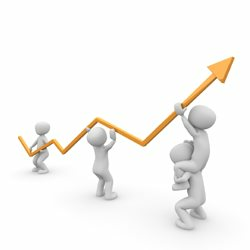 There are many types of firm registrations in India like Private Limited Company Registration, One Person Company Registration, LLP Company Registration, Proprietorship Company Registration, Section 8 Company Registration, Indian Subsidiary Company Registration, Producer Company Registration, Nidhi Company Registration, NBFC Registration, Microfinance Company Registration and Credit Cooperative Society Registration. Therefore, one should register an appropriate firm according to their business type as the Income Tax Returns will depend on it. The New Company Registration process in India was complex a few years ago. With the inauguration of Digital India, this process now takes no more than 10 days. However, the listing process is both online and offline. Few documents are submitted online and few have to be filed in the Ministry itself. The first step is to obtain the DSC and DIN for your company which is issued by the Ministry of Corporate Affairs. The Second step is the firm name approval after which you can go for the company registration application form. It is the trickiest step of the company registration process. If your firm name doesn’t fulfill all the requirements according to the clause of the Companies Act, 2013, the name will not be approved by the Ministry. In the third step, you require to furnish the PAN and address proof of your firm. There are many legal troubles which came when one tries to file the documents itself. Here comes GSB Taxation for your rescue. We have made the filing process easy with our qualified expert team which is working in all 29 States of our country. You don’t have to travel an inch if you choose us. We know the value of time and we will do our best to save it for you. You will get your firm license without any hustle while sitting on your couch. Step 1: The first step in the new company registration process is Digital signature. We submit the digital signature in the Ministry Of Corporate Affairs. Ministry takes around 1-2 days to approve this signature. Step 2: The second step in the company registration process is Name approval. After the approval of digital signature, our qualified CA’s carry the process and file for the name approval. Ministry takes around 2 days to give a name approval. Step 3: It’s the final step of the new company registration process. After the firm’s name approval, our CAs start preparing and filing your firm’s application form. This includes the filing of all the concerned documents with their registration fee to the Ministry Of Corporate Affairs. The Ministry takes around 3 days for this approval and hence, your license number will issue. With our experts and dedicated team, this whole process takes no more than 7 days. Moreover, we will provide you with all the proofs, Govt. receipts and company bills after each step with proper follow-ups. Things to be considered before registering a company. The advantages, documentation, price, time period and minimum requirements of different types of Company Registrations. Check company identification number online. Annual report of companies registered in India from February 2018 to January 2019. Why Indian people are more interested in the registration of Private Limited Company? Do Indians have more interest in Nidhi Company than NBFC Company? If you want to start a business, you must incorporate it soon due to increment in the competition. The Company registration helps you in legalizing your business. New firms are registered under the Company Act, 2013 which is laid down by MCA. There are few things to be kept in mind before registering an enterprise. The process of company registration is almost the same for every firm. It was a long process a few years ago but nowadays the internet and Digital India gives a boost up to the registration process. However, the time period of the same varies from firm to firm. You can’t get an NBFC license in 7 days. In the same way, one can’t get the license of Private Limited Company in 3 days. These differences are caused due to the time taken by Government officials in processing a document. How can someone know about your business? Exactly, by its name. Choose a name which is easy to spell, meaningful, unique and one which signify your business goals perfectly. Refrain from using a name which resembles any existing firm or a registered trademark. To simplify your registration process, came up with 5-6 business names before filing your enterprise registration certificate. A right firm category is the future of your business growth. It is the base on which your firm will grow. There are many venture types and the best one for you is based on your type of business. For example, if you are a startup and are looking for VC funds then Private Limited Company is the best option for you. Get free consultancy from our industry experts by clicking the Green Tab on your right. Below are some important firm categories. A Private Limited Company is the most efficient legal entity for Indian businesses. This type of business entity limits owner liability to their shares and is appropriate for those who are willing to raise funds in future. 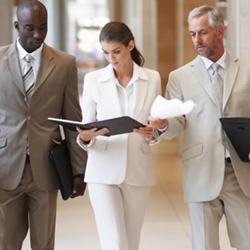 A minimum of 2 and a maximum of 50 directors are required for a Private Limited Company. A Private Limited Company is governed by the Ministry of Corporate Affairs under Companies Act, 2013 and the Companies Incorporation Rules, 2014. Pvt. Ltd companies are treated as a single entity that makes the firm responsible for all the debts if anything happens to the firm. A Pvt. Ltd company is a single entity which is established under the Companies Act, 2013. A Pvt. Ltd Company is eligible to hire employees or to open a bank account on its own name. The Director of an enterprise has no personal liability to the creditors of the firm and its debt. The ownership of a Pvt. Ltd company can be transferred easily by filing a share transfer form or transfer deed form. Private Limited Company Registration gives a major benefit in funding and resource availability. With adequate resources, a firm can produce goods at lower manufacturing cost which leads to the growth of a business. Identity proof of Directors: This could be an Aadhaar card or a driving license. Specimen signature: The specimen signature of Directors are required on a blank sheet. Address proof of business premises: This could be a rent agreement, leased deed, purchase deed/sale deed or property deed. Utility bill: Utility bill could be a water bill or an electricity bill. 2 Directors: A minimum of 2 Directors is required. Minimum Capital: A firm must have an authorized capital of at least Rs. 1 Lakh in order to register for a Private Limited Company. Distinctive Name: A firm’s name should not resemble any registered company or trademark. The Private Limited Company Registration fees varies from Rs. 9,999/- to Rs. 19,499/-. The searches of Pvt Ltd Company Registration are more than One Person Company Registration in the last 1 year (February 2018-February 2019). The concept of One Person Company was introduced in India through the Companies Act, 2013. One Person Company (OPC) registration can be done by a single person which makes the jurisdiction and liability of members to be limited to their shares. OPC gives a single director to enjoy full control over the business. However, if a One Person Company crosses an average turnover of over Rs. 2 Crores over three years or has a paid-up capital of over Rs. 50 Lakh, then according to the Act, it is mandatory for it to be converted into a Private Limited Company or a Public Limited Firm within next 6 months. One Person firm registration could be started and operated by a single owner who has full control over the business. Liability of Directors of the One Person Company is limited to their shares which means that if the firm suffers from any loss and faces a financial crisis then the personal assets of the Director will not be at risk of being seized by bank, creditors or Government. One Person Company’s books & accounts are audited annually because of which, it has greater credibility among vendors, customers, employees and bankers. The life of an OPC business is not affected by the status of shareholders. Even after the death of the shareholder, the One Person business continues to exist. That’s why single business owners are benefitted from the registration of a One Person firm. PAN card of the Director. Address proof of the Director: It could be an Aadhaar card, PAN card, rent agreement or a voter ID card. Passport size photograph of the Director. Address proof of the business premises. Utility bill of the business premises.It could be a water bill or an electricity bill. 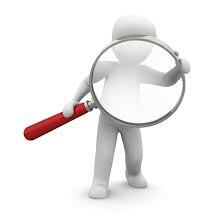 The searches of LLP Company Registration are more than One Person Company Registration in the last 1 year (February 2018-February 2019). LLP (Limited Liability Partnership) is a corporate business entity which is suitable for the partnership type of businesses. It has the characteristics of a partnership firm and corporation. Thus, LLP Registration offers features of both Partnership firm and Private Limited Company into a single entity that is LLP with less compliance. 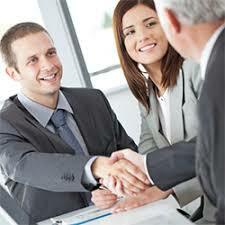 It is suitable for those who want to do business on a partnership basis. LLP is a separate legal entity which makes the firm and partners distinct from each other. Both partners are different from each other and they can file a case on each other on the occurrence of such an issue. If a partner leaves, it will have no effect on the business. However, a mutual understanding is required in order to disband the firm. 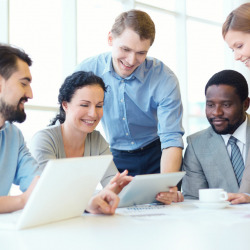 There is not any mandatory minimum capital required for the listing of Limited Liability Partnership firm which makes it beneficial for the small partnership businesses. Another major benefit of an LLP is that the firm needs to get the audit done only when the contribution of the company registration exceeds Rs. 25 Lakhs or if the annual turnover exceeds Rs. 40 Lakhs. As the name suggests, partners have less liability, and LLP does not expose its partners to unlimited liability, according to the Companies act 2013. And liability of partners will limited to partner's capital. PAN and ID proof of all members. Address proof of all partners. Passport size photographs of all partners are required. Address proof of business premises. Utility bill: It could be a water bill or an electricity bill. Scan copies of specimen signatures of partners. A minimum of 2 partners is required for LLP company registration. However, there isn’t any upper limit mentioned for the same. At least one of the partner(s) must be an Indian resident. DPIN (Director Identification Number) of all partners is required. DSC (Digital Signature Certificate) of all partners are required. The listed office of LLP should not be a commercial space. 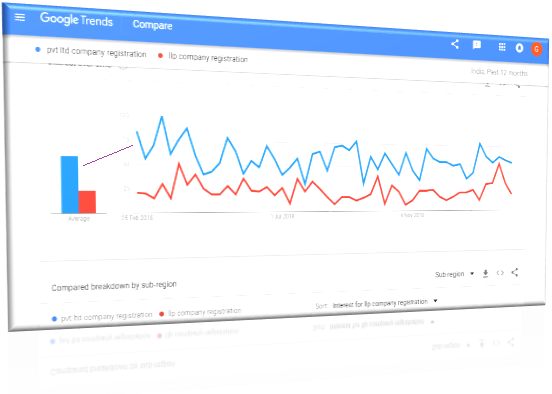 The searches of LLP Company Registration are more than One Person Company Registration in the past 1 year (February 2018-February 2019) in India. A Proprietorship is a kind of company registration which is possessed and worked by a single individual which gives him the sole right of the business. This type of company registration is very convenient and is preferred by small businesses. In proprietorships, the firm and owner are one and there is no difference between the two due to which the sole owner is responsible for all the profits, losses and debts. In a Proprietorship, the owner has the complete control over his company and enjoy the privacy of the company, quick dicision making and no interference of external party affairs. These enterprises are easy to start and maintain as they don’t require many legal formalities as compared to other company registrations. However, it will be difficult to open bank accounts on the name of the firm because the firm and the owner are not a separate legal entity. Proprietorship Company and its owner are the same legal entity and because of this, it’s easy to close. The owner doesn’t require any legal formality to close this firm. PAN card: PAN number of the owner/ sole proprietor is required. Aadhaar Card: Aadhaar proof of the sole proprietor is required. Proof of business premises: This could be the electricity bill, rent agreement or lease deed of the premises. 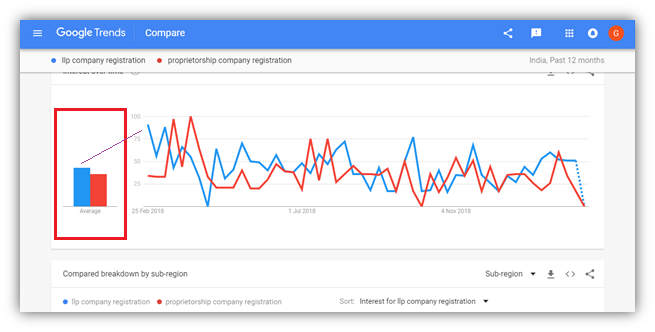 The searches of Proprietorship Company Registration are more than Partnership Company Registration in the past 12 months (February 2018-February 2019) in India. 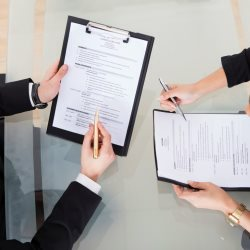 A Partnership firm is a business in which two or more individuals start and operate a business according to the terms and conditions mentioned in the filing deed. All the partners of firm invest and share profit and loss according to the profit sharing ration within the terms of partnership deed. In the absence of such agreement, a partnership firm is assumed to exit where the partners in an enterprise agree to share the associated risk and rewards proportionately or equally. 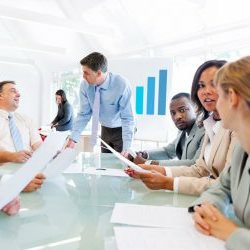 This is a major benefit of a partnership entity because, when more individuals join a partnership company, they can invest more and more which allows more growth and flexibility in the business. The earned profit could be shared among the members according to the agreement deed. Partnership companies don’t require legal formalities as compared to Private Limited Company registration. Hence, it is easy to start. These are far more flexible in terms of management, as long as all the partners can agree. 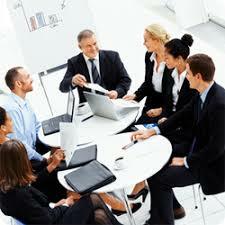 The partners can divide their work according to their skills which will decrease the workload. They can invest their rest time in the growth of their firm which is must for developing business. 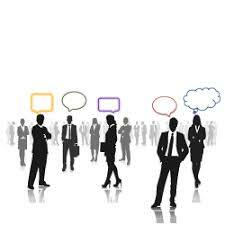 There are more brains in Partnership business which helps in decision making and the growth of a firm. Identity proof: ID proof of partners such as Aadhaar card, PAN card, driving license etc. are required. Address proof of partners is required. Passport size photographs of partners are required. Address proof of business premises:Address proof of business premises such as electricity bill, leased deed, rent agreement etc. is required. 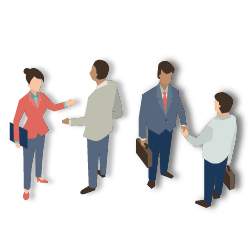 Affidavit: Affidavit of the new member is required which declares his/her intention to become a partner. FORM 1: It is required in case of a registered partnership. However, the format of the form will be provided by us. A minimum of 2 partners is required for Partnership Company Registration. However, there isn’t any upper limit mentioned for the same. The registered office of the Partnership firm should not be a commercial space. 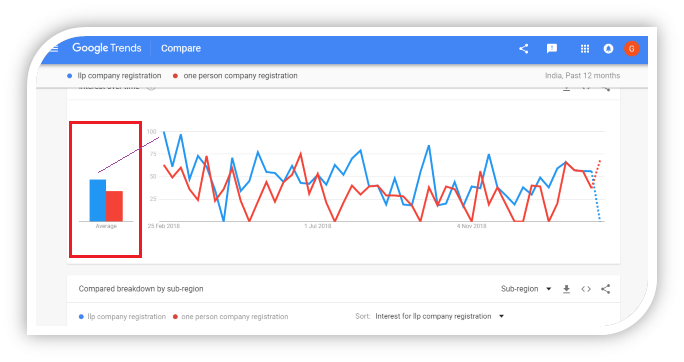 The searches of Section 8 Company Registration are less than Partnership Company Registration in the past 12 months (February 2018-February 2019) in India. A Section 8 Company is an organization which is registered under the Company Act (MCA) as a Non-Profit Organization. This type of firm is incorporated with an objective to promote issues like arts, charity, education, child welfare and other social issues. Section 8 Company has many advantages as compared to trust and societies as they have higher credibility amongst donors, Government departments and other stakeholders. The incorporation certificate of Section 8 Company is issuing by the Ministry of Corporate Affairs. Section 8 firm can use the names like Association, Foundation, Society, Council, Club, Charities, Institute, Academy, Organization, Federation, Chamber of Commerce, Development and many more for its registration. Another important considerable point is that these companies are managed by the Board of Directors based on the MOA and AOA of the Section 8 Company. Section 8 Company can be easily transferred from one person to another by altering the composition of the board of Directors. These firms are separate from their owners due to which the Section 8 Company can have its own revenue, profit and loss. However, the profits of this enterprise can only be used for non-profit purposes. Passport size photograph of Director(s). Self-declaration of your directorship in other organizations. Rent agreement of registered office. Specimen signature of the Director(s). An Indian Subsidiary firm registration is a type of enrollment which is meant for foreigners (exclude Pakistan and Bangladesh). 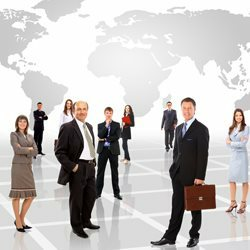 Due to the availability of the qualified and in-expensive human resource, foreign nationals prefer to do a business in India. A Foreign National (other than a resident of Pakistan or Bangladesh) or an element joined outside India (other than substance consolidated in Pakistan or Bangladesh) can make speculation and submit Indian Subsidiary Company enlistment application inside India by procuring offers of the organization, subject to FDI Policy of India. In most service sectors, 100% Foreign Direct Investment (FDI) is allowed by the Government. However, investments in unauthorized sectors can be made with the approval of the Government under the Government approved FDI method. Indian Subsidiary Company is a separate legal entity which means that the firm and the owners are different from each other. The Directors/shareholders are not responsible for the debts and loss. All the shareholders at the time of Formation of Indian Subsidiary Company are not able to claim the property of the firm so long as the enterprise is a going concern. The shares of Indian Subsidiary firm can be easily transferred from one person to another by filing a share transfer form. Similar to the One Person firm, these institution are also not affected by the death of any member(s) which makes them sturdy and durable. 100% Foreign Direct Investment (FDI) is allowed by the Government in most sectors such as real estate broking services, agriculture, plantation sectors, mining, exploration activities, few broadcasting services, civil aviation, e-commerce activities, railway infrastructure, credit information companies, Pharmaceuticals (Green Field) etc. A Resolution from LLC / INC for opening a Subsidiary firm in India (duly notarized by the Indian embassy). Address proof of all Directors (Aadhaar card and voter ID card for Indian director and driving license, passport or electricity bill or bank statement for a foreign director). One Indian director: A minimum of one director of Indian Subsidiary firm must be an Indian resident along with an Indian address. Two shareholders: A minimum of 2 shareholders is required for the Indian Subsidiary Company registration. A Producer Company is a firm which deals in agricultural production. This organization is registered under the Company Act of 2013. 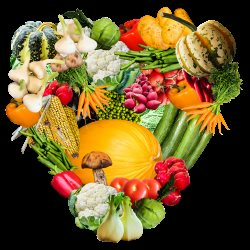 These firm works on a motive of harvesting, procurement, marketing, grading, selling and trading. The trade includes the import of goods and services and the export of primarily produced goods. 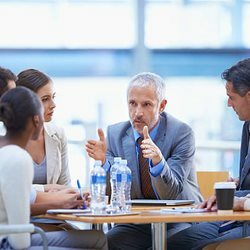 Producer Company is a separate legal entity which makes the organization and partners distinct from each other which enables the benefit of limited liability and eternity. Changes in the Board of management of a Producer firm can easily and speedily be made just through filing some simple forms with ROC. A registered Producer entity entitled to own, sell, enjoy, or estrange a property in its own name. No one can claim on the property until its dissolution. The life of a Producer firm is not affected by the status of an owner/shareholder. Even after the death of the shareholder, the Producer business continues to exist. A Producer firm can accept the deposit in the form of RD/FD, which gives it maturity. It then can distribute loans to its farmer/agriculturist members, and charge reasonable interest from them. Identity Proof of the Directors and Shareholders: PAN for Indian Nationals and notarized Passport copy for Foreign Nationals. Address Proof of Directors and Shareholders: Passport, Driving License, Aadhaar card, bank statement or electricity bill. Proof of registered office: This could be rental agreement, sale deed, a copy of electricity bill, property tax receipt, NOC from landlord etc. 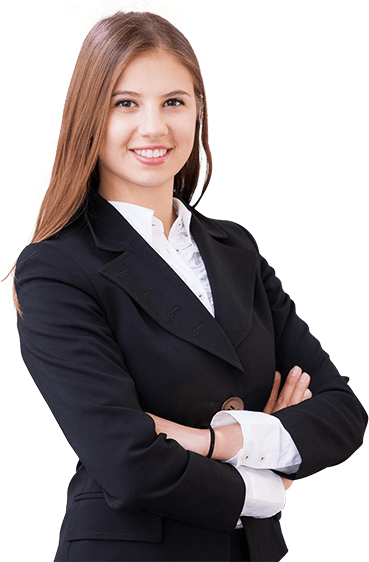 Signed incorporation documents: Signed digital signature application documents in hard copy and other incorporation documents signed and uploaded as a soft copy. 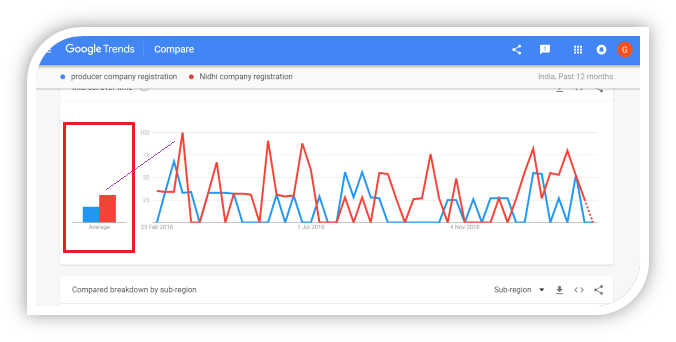 It has been found that the searches of Nidhi Company Registration are more than Producer Company Registration in the past 12 months (February 2018-February 2019) in India. Nidhi Company is one which belongs to the non-banking Indian finance sector and is recognized under section 406 of the Companies Act, 2013. Their core fundamental business is borrowing and lending money between their members. These organizations are also known as Permanent Fund, Benefit Funds, Mutual Benefit Funds and Mutual Benefit Firm. Nidhi Company is governed by Nidhi Rules, 2014. They are incorporated in the nature of Public Limited Company and hence, they have to comply with two set of norms, one of Public Limited firm as per Companies Act, 2013 and another is for Nidhi rules, 2014. Nidhi company is the best entity and a jurally person established beneath the Act which makes the firm and partners distinct from each other. This enables the benefit of limited liability and eternity. Nidhi organization enjoys higher credibility compared to Mutual profit organizations. Nidhi Company registration is monitored by the Central Government. Nidhi Company, being a separate legal person, is unaffected by the death or alternative effort of any member however continues to be breathing in spite of the changes in membership. The Nidhi Company can be easily managed. The board of management can be modified easily by processing simple documentation. This organization entitled to own, sell, enjoy, or estrange a property in its own name. No one can claim on the property until its dissolution. PAN Card of all Directors and Shareholders. Latest bank statement/telephone or mobile bill. Scanned copy of Notarized Rental Agreement. Voter's ID/Passport/Driver's License of the Director/Shareholder. Passport-sized photograph of all Directors and Shareholders. Scanned copy of Signature (should be same as on PAN Card). Utility Bill or Rent Agreement in case of a rented property. Minimum 7 shareholders must be there. A minimum of 3 Directors must be there. Minimum capital should be Rs. 10 Lakhs. Non-Banking Financial Company (NBFC) is a firm engaged in the business of loans, advances and acquisition of shares/stocks/bonds/debentures/securities issued by Government or local authority. This excludes businesses which deal with agriculture activities, business activities and sale/purchase of immovable properties. Financial activity as principal business refers to a situation when a firm’s financial assets constitute more than 50% of the total assets and income from financial assets constitute more than 50 % of the gross income. A firm which fulfils both these criteria will be approved by RBI for NBFC Registration. Systemically Important Core Investment Company (CIC-ND-SI). Non-Banking Financial Company – Micro Finance Institution. Non-Banking Financial Company – Factors (NBFC-Factors). NBFC registration helps in incurring loans and credit facilities. NBFC also helps in the investment in the property. It helps in trading money market instruments. With NBFC listing, one can fund private education. NBFC also helps in wealth management which includes managing portfolios of stocks and shares. NBFC listing helps in the merging and acquisition of firms. NBFC filing also helps in preparing feasibility, market or industry studies for the firms. Certified copy of Certificate of Incorporation issued by the registrar of firm. An Audited balance sheet with profit & loss account along with directors. Auditors report for the entire period of the company's existence for the last three years. Copy of Director's experience certificate. It should be an Indian registered firm (Limited Organization or Private Limited Company). Minimum net owned funds of INR 2 Crores. A hard copy of the application with attached documents. 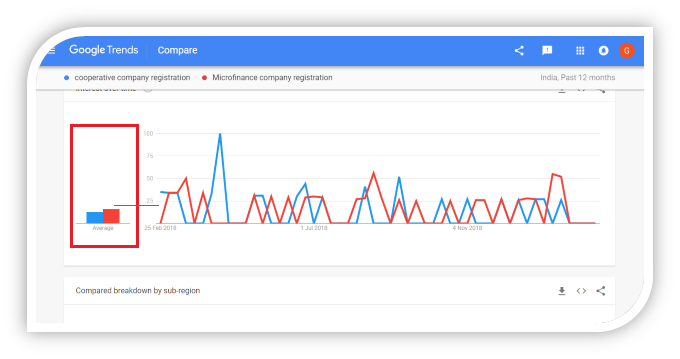 The searches of NBFC Company Registration are more than Microfinance Company Registration in the past 12 months (February 2018-February 2019). A Microfinance listing is regulated under the RBI Act of 1934 in India. It is a type of NBFC which is not authorized to take deposits but carry out small lending activities to finance the low-income category individuals like a small businessman, farmers, agriculturalists, horticulturists etc. Micro-Finance Company Registration helps in smooth access to the funds. Micro-Finance firms also helps in encouraging people to live their entrepreneur dream by improving their quality of life. Duly certified COI and COC of the firm. Certified copy of MOA, AOA of the firm. Board resolution document to certify that the firm will follow norms specified in the RBI Act, 1934. Financial details of investments and holdings of the enterprise. Audit report with a financial balance sheet. If you want to list through NBFC, then it requires a minimum capital of INR 5 Crores. If you want to register through Section 8 of Companies Act, 2013 then no minimal capital is required. If you want to list through RBI, then it should be a registered company having the net owned fund of INR 2 Crores. The searches of Co-operative Company Registration are less than Microfinance Company Registration in the past 12 months (February 2018-February 2019). A Multistate Credit Cooperative Society is an association of members registered under the Multi-State Cooperative Societies Act, 2002. The Chairman and Board of Directors of a Credit Cooperative Society is elected by the society itself. The share capital is contributed by its members. A Credit Cooperative Society can accept and give loans to its members. However, the profit and loss are distributed among the members as per the signed deed. Each member of a Credit co-operative society has the right to choose its Director and Board members. As mentioned above, the profit and loss are equally distributed among the members of a Credit co-operative society according to the signed deed. Anyone having same interest can enter or exit a Credit co-operative society. There is no barrier. The membership fee is low in such firms so that anyone can take part in it. Credit co-operative society is a separate legal entity which makes the company and partners distinct from each other. This enables the benefit of limited liability and eternity. Similar to the One Person firm, these companies are also not affected by the death of any member(s) which makes them sturdy and durable. 4 copies of the proposed Bye-laws of the multi-purpose cooperative society registration, duly signed by each of the people who sign the application. Name of the proposed Multistate Credit Cooperative Society. Address proof of the Credit Cooperative Society. A list of persons who have contributed to the share capital with the amount contributed by each along with the admission fee paid by them. Area of operation of Multi-state Cooperative Society. Main objectives of Co-operative society. A certificate from the Bank or banks stating the credit balance in favour of the proposed Multi-state Cooperative Society. In multi-state co-operative society listing, a minimum of 50 members from each state with two states is required. A minimum of 7 and a maximum of 21 board members are required. ID proof of all members. Proposed name of multi-state cooperative society. Copy of pre-registration meetings resolution (about the board, capital, members, operations, etc.). A certificate from the Bank stating the credit balance in favour of the proposed multistate credit cooperative society. A detailed plan that how co-operative society will be beneficial for the social and economic betterment of its members and community as a whole. Visit official website of Ministry Of Corporate Affairs. Click on MCA services and then on View Company/ LLP Master Data. Enter the name of firm which you want to search and then click the search tab. In the new tab, you will be asked to enter the Company name and CIN field. Enter the details and click submit. Details of all the directors. Hence, the process of firm filing number will be completed. Let’s take a look into the statistic data obtained through Ministry Of Corporate Affairs. Many companies are registered in the Ministry Of Corporate Affairs every month. According to the data available on the MCA’s website, the approx. 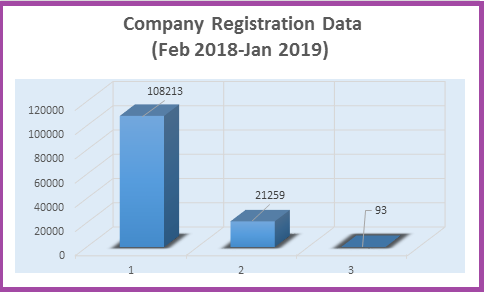 units of company registration took place from February 2018 to January 2019 are as follows. An approx. total of 108213 Indian Companies, 21259 Indian LLP Companies and 93 Foreign Private Companies were registered in this time period. The lowest company registrations (approx. 9331) took place in the month of August 2018. An approx. of 7740 Indian firms were registered in the month of August 2018 which is the lowest in the last 11 months. Similarly, the lowest Indian LLP registrations (approx. 1084) took place in the month of October 2018. In contrast with this, January 2019 was the boom period for the company registration process with an approximate of 12464 and 2965 registrations for Indian firms and Indian LLP firms respectively. January 2019 leads to the highest number of company registrations. An approx. of 15440 firms were listed in the New Year month. An approximate of 4 Foreign Companies were registered in the month of December 2018. However, the maximum foreign filings (approx. 12) took place in the month of October 2018. Private Limited Companies are preferred mostly in India due to its additional benefits of funding, easy transferability and separate legal entity. In the United Nations, Virginia is most interested in searching the term Private Limited Company. 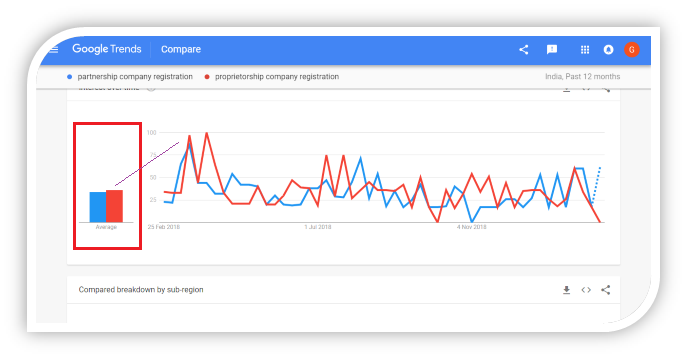 As shown in the trends above, the searches for Private Limited Company registrations are more as compared to LLP firm registrations in past 12 months. The major searches for Private Limited Company Registration took place in Delhi, Karnataka, Gujarat, Uttar Pradesh, Telangana, Tamil Nadu, West Bengal and Maharashtra. 8 percentile and 10 percentile of Indian population searched NBFC registration and Nidhi registration respectively from 25th February 2018 to 16th February 2018. A sudden increment was seen in the searches of NBFC filing from 30 September 2018 to 6 October 2018. The searches for both of these terms were moving from head to head till January 2019. Form the end of January to 16 February 2019, the searches of Nidhi registration took a rapid jump with the total Indian searches of 100 percentile. The major searches for Nidhi registration took place in the states of Kerala, Bihar, Haryana, Tamil Nadu, Telangana, Assam and Madhya Pradesh. Q1. Is it necessary to register a firm? Ans. Registration of business is a primary thing for any business during incorporation. Registration of business is very important. It will give you many benefits by protecting your enterprise and securing your rights against the third party and also under laws. In the case of failure of registration, you may have to face legal consequences. Q2. Is the Sole Proprietorship same as a One Person Firm? Ans. No, both are not the same type of organizations. In a sole proprietorship, an individual runs a business with unlimited liability whereas OPC allows a single person to run a business by limited shares and liability. Q3. What is an LLP? Ans. LLP is a type of firm which consist of limited liability of partners and has separate legal entity from partners. It has an uninterrupted existence that follows perpetual succession, i.e., the partners might leave, but the business remains. A term of dissolution has to be mutually agreed on for the firm to dissolve. Q4. How much investment is required for a company startup? Ans. It depends on the type of firm and the kind of your business. For example, a person can start its business from Rs. 5000/- under Sole Proprietorship and can run Partnership firm in which investment amount depends on the sharing ratio of partners. Q5. Is Section 8 firm same as a Private company? Ans. 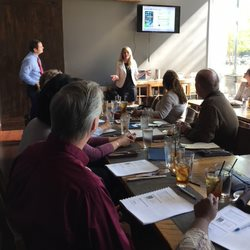 A Section 8 firm is a non-profit charitable company. It is the set-up for not-for-profit purposes. Private Limited Company on the other hand is a business organization with profit making objects. Q6. How Statutory Firm is different from a Registered Firm? Ans. Statutory firms are governed by the provisions of their Special Act passed either by the Central or State Legislature. The object of such companies is not to earn profit but to serve people. The Companies registered under the Indian Companies Act are known as Registered Firms. These are governed and regulated by the provisions of the Companies Act and are limited by shares, guarantee or unlimited firm. Q7. What is a Microfinance Company? Ans. It is a type firm which offer services related to loans, savings, insurance to small business entrepreneurs or owners. Q8.What is a Producer Company under Companies Act, 2013? Ans. It is a type of firm registered under the Companies Act, 2013 which carry on activities like production, marketing, grading, harvesting, processing, selling import export manufacturing etc. Q9. Can I corporate in more than one state? Ans. A person can setup his/her business in multi states. It’s just that the firm must also be registered in those states where you want to do the business. Ans. LLC means Limited Liability Company which has a separate tax identity from its owner and pays taxes. Q11. 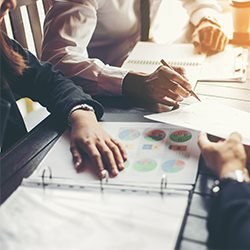 How do I protect my business name? Ans. You can protect your business name by taking trademark registration. This filing prevent your business name and no one will be able to use your firm name without your permission. Q12. 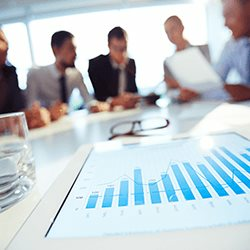 What is a holding enterprise? Ans. It is a type of firm which is partially or completely owned by some other businesses. It is known as a holding or parent company. A holding enterprise must have 50% stock control and 100% control in partially and wholly owned firm respectively. GSB’s team helped me protect my brand with trademark registration. Their service was swift and delivered at an affordable price. I will highly recommend GSB Taxation for startups given its quality support and momentum. They are worth a try. GSB Taxation administration is the best answer for me as a startup. Exceptionally prescribe for each startup and business person. GSB Taxation administration is the best answer for me as a startup. Exceedingly prescribe for each startup and business visionary. 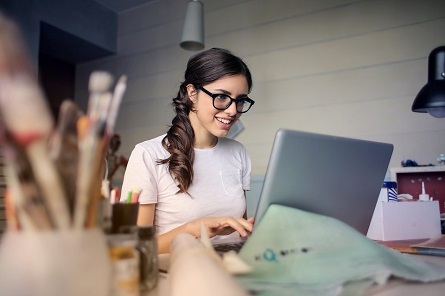 On the off chance that starting a startup is your fantasy yet legal issues keeps you under control, I’ll strongly recommend GSB Taxation for their fruitful and trustworthy service. Quick service. Impressed with their work. GSB clearly provided the best service in New Delhi.